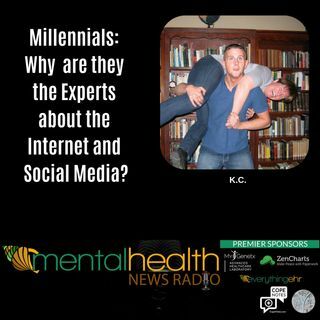 Millennials: Why are they Experts About the Internet and Social Media? Why are millennials experts about the internet and social media? Because they are the ONLY generation that has a before and after experience at that crucial developmental age. Generation X and Baby Boomers on up - the internet and social media hit us as adults. Generation Z? They came out of the womb with a Smartphone in their hands. Researchers have only one generation to study about the social, developmental, and mental health impact that the internet and social media has on a generation ... See More that knew life at such young ages before and after. Their experiences with online bullying, trolling, harassment, and privacy hit them in a way that no other generation can understand. Older generations are shocked at the amount of online emotional terrorism. Generation Z is at the beginning stages of learning how to navigate it. Only Millennials know how that negative side of the internet has impacted the age group that spearheaded the online experience. Tune in to K.C. and our host Kristin Walker as they discuss one millennial’s perspective.